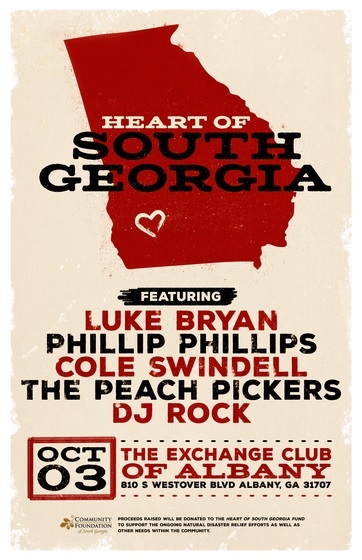 Georgia natives Luke Bryan, Phillip Phillips, Cole Swindell, The Peach Pickers (Rhett Akins, Dallas Davidson and Ben Hayslip) and DJ Rock will host a benefit show in their home state on Oct. 3 at the Exchange Club of Albany in Albany, Georgia. 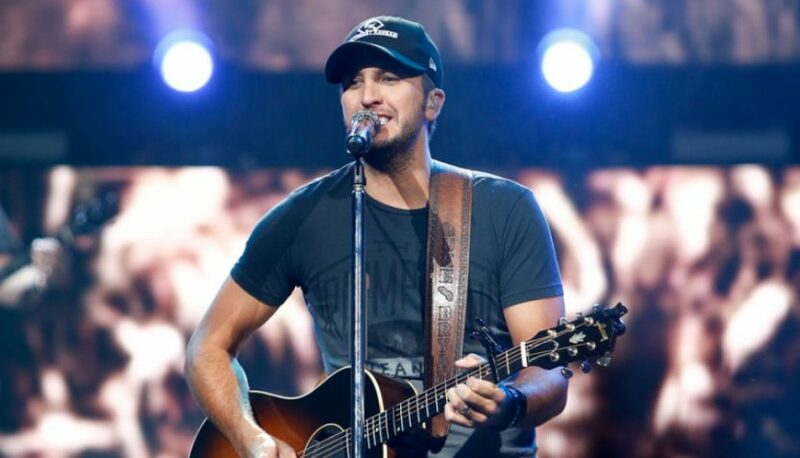 Proceeds raised from the “The Heart of South Georgia” concert will be donated to The Heart of South Georgia Fund of The Community Foundation of South Georgia to support the ongoing natural disaster relief efforts as well as other needs within the community. Tickets are on sale now, for more information click the link: here.